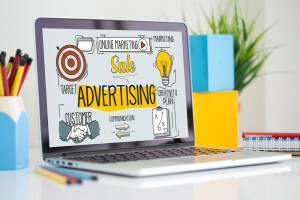 Some types of advertising information can be used to track how many potential clients viewed the marketing format, and whether or not those leads continued from there to hiring the attorney. This has become easier as more advertising and information switch to being online. One of the best examples of advertising that can be tracked are blogs on an attorney’s website. By having articles written about specific areas of expertise that answer the question of whether or not legal advice would be helpful, leads can be tracked from finding the article to hiring the attorney and becoming a client. While many attorneys are capable and experienced in broad aspects of the law, to advertise more effectively it can be better to highlight one or two specific areas of law so that it reaches an audience that has a specific need. Many leads are searching for help with their very specific problems, and when a marketing campaign is directed more closely to matching that issue, the more likely they will find that attorney first, which turns into a higher percentage of converting to clients. Consumers in all areas of life are turning more and more towards social media, like Facebook and Snapchat, to find or connect with the services they need. It makes sense that the legal assistance is also being sought out this way as well, so keeping a social media presence updated can reach more people in your targeted areas than competitors will that are neglecting their digital footprint. Along with using overt advertising campaign tactics like those options above, to attract more clients for law firm consulting it is beneficial to create local connections within a community that tie the attorney into other aspects of life. By helping other businesses, or participating in community activities, leads will recognize the impact that you’ve had on their surroundings already and be more inclined to seek out your services.